Jame Dibiasio introduces his crime novel Gaijin Cowgirl, in which Val Benson, an American woman working in a Japanese hostess bar, becomes involved in a treasure hunt around South East Asia following the death of her most wealthy client. Jame discusses the novel's plot, themes and production with SCC Overton, concluding with the Writing Masterclass: How to Write a Crime Novel. 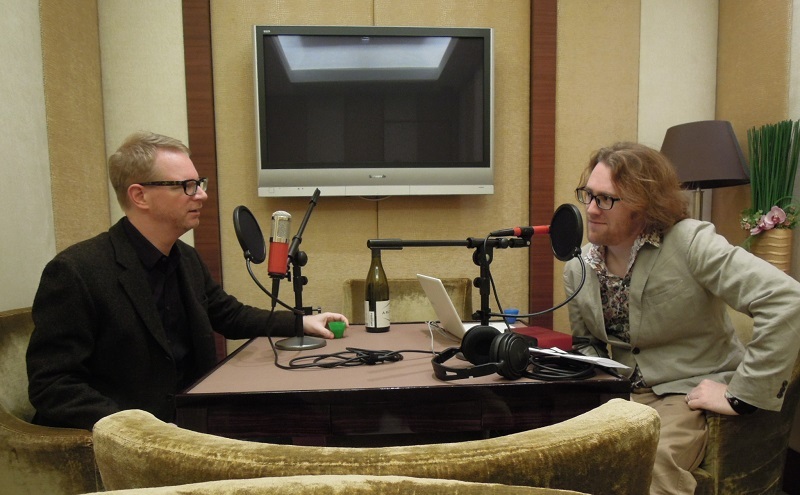 The Hong Kong Writers Circle podcast Episode 12: Gaijin Cowgirl was produced by SCC Overton. Exerpts were from Gaijin Cowgirl by Jame Dibiasio published by Crime Wave Press and Bloody Paradise also by Jame Dibiasio published by Water Street Crime. Gaijin Cowgirl and Bloody Paradise © Jame Dibiasio. The music was by Quantum Jazz from the album End of Line, used under the terms of a Creative Commons Attribution and ShareAlike licence. The interlude music was Untitled #1 by Yusuke Tsutsumi from the album, Birds Flying in the Dark used under the terms of a Creative Commons Attribution Non-commercial license. If you are a musician and would like to feature on this podcast or for any other feedback please email using the subject line Podcast.